Twitter is a social networking and micro blogging service which has currently 140 millions of users who generates 300+ millions of tweets (that's what a post on twitter is called) everyday together with more than one billion of search query.With this many of users, surely it is a place where blog writers can find and eventually gain a group of loyal reader for their blog posts. 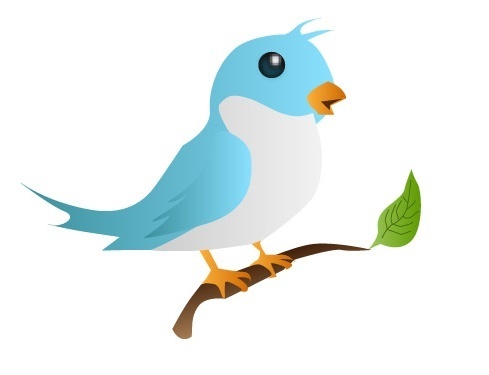 If you have a group of "followers" in Twitter, then all you need is a Twitter button in your blog so that your followers can follow your blog/post on twitter. In this "how to" post, I will guide you to put your very own and customized twitter button into your blog or website. This post is for those persons who want to know how to insert customized Twitter icons for their blogs or websites. If you have already created your customized twitter button, then you would like to check the "Recommended Readings to Gain from Twitter" section below. First step is to get the HTML codes for your desired buttons. Following I tabled 4 above-mentioned twitter buttons' HTML codes and their previews with user as me. in the codes with your real twitter username. Copy the HTML code/s from any of the above table/s. From design option, add a HTML gadget. Paste the copied code into the gadget body. Your blog or site now should have your chosen Twitter button. Obviously there are always other ways to integrate twitter buttons in you sites, but I just wanted to show you one of the easiest methods to do it. Now you're ready to do tweeting from your blog directly and share your posts to your followers. Do you know social media like Twitter can be the most powerful business and personal networking platform, if used in proper way. Remember, you have 140 characters to get attention of people from a single tweet. Therefore you really need to learn and know the best marketing strategy needed to be used in Twitter. If you find this post useful and informative, why not to share and like. I would also be glad to know if you have any comments or any problem integrating twitter button the way I have mentioned.